Every time I have made a big decision without pausing, listening and waiting, it hasn’t worked out too well. Each time I’ve rushed into a solution, forced a solution, demanded a solution right now, I find myself disappointed, frustrated and stuck. But when I make room for the Holy Spirit, when I allow myself the time to get quiet and listen for the “next right thing,” I am energized, satisfied and on the move to where it is God wants me to go. Getting quiet – easier said than done! In our 24/7 world, being quiet is tough. But even if you get the external noise to abate, shutting down the internal noise is a whole other proposition. Internal noise is cunning and relentless. I have experienced anxiety my entire life, and one of the enemies of anxiety is quiet. If there’s background noise—music, the tv—my anxious brain won’t engage in the “what ifs, how about this, what about that, why can’t I, why did they….” dance. This dance leaves no room for the Holy Spirit to move and no space in my heart for discernment. I need to “make quiet happen.” This can be driving without the radio playing so that I am alone with my thoughts enough to stop the internal talking and begin the deep listening. 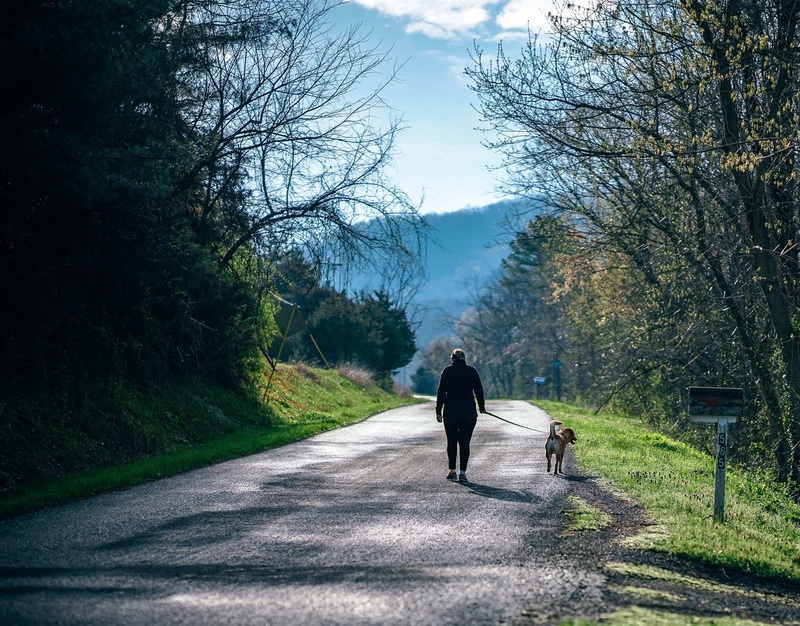 It can be taking the dogs out for a walk and never looking at my phone; it can be setting my phone to a quiet mode from 9 at night until 6 in the morning; it can be taking a moment every hour to breathe deeply and to stretch out my back. It can be standing outside, feet firmly on the ground, arms out-stretched and face turned toward the sky. It can be a nap. I have worked hard to find out what works for me, and I encourage you to find what works for you. Whatever takes you out of the distractions and places you into the here and the now will open you to the working of the Holy Spirit. I find that getting myself out of my own head and reorienting myself as one small piece of the vastness that is God’s creation helps, a lot. When I realize that I am just one piece of a much greater whole, when I can breathe deeply and stand firmly, when I allow the quiet to envelop me, the Holy Spirit speaks to me, my imagination is engaged and the possibilities for my life are unleashed. I guess my message is to hurry up and slow down! Make being quiet part of your routine, and then prepare yourself to be prodded, poked and enlightened by the Holy Spirit. For it is when we can receive the message of the Holy Spirit that discernment happens. It is there and it is then, that we discover just who it is our gracious and life-giving God intends us to be. Enjoy the ride! The Rev. Canon Cathy Dempesy-Sims is Canon for Connections in the Diocese of Western New York. This entry was posted in DioWNY, Spirituality and tagged Canon Cathy Dempesy-Sims, DioWNY, discernment, Holy Spirit. Bookmark the permalink.